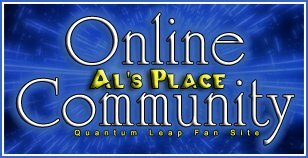 Project Quantum Leap was only a dream. What was the secret that made Ziggy much more than a machine? Why did Sam really want to travel in time? Where was Al that fateful winter night? And who almost destroyed the dream before it began? Note: This one takes up where "To Close for Comfort" leaves off, but you don't have to read one to enjoy the other. McConnell picks this up from the end of a previous book of her's "Too Close For Comfort". Which makes sense in way. That book involved a leap to Al's time right before joining the Project. But its totally inconsistent with the rest of Prelude. This is very clearly the backstory before Sam had changed any history. Tom died in Vietnam, Donna never showed up for the wedding. Yet the book starts out with younger Al interacting with a time traveling Sam, of course Al does not realize it. The ending of "Too Close For Comfort". Heh? I'm re-reading this book at the moment and I've not noticed that. Where is that bit? Well I am reading between the lines a bit. It was confusing. Normally the Doctor would have no reason to save and properly preserve Sam's Brain tissue. When he hands over the sample to Sam he seems at a loss to explain why he did so. I maybe be wrong but this was similar to how the author handled other Leaper's after they return to their time. Being confused as to what happened when they were gone. But really not questioning or doubting others accounts of events either. Anyone else see this as another Leaper? Or Divine Intervention??? I've just finished re-reading it. I just love the part when Sam is standing outside at night gazing in wonder with his arms in the air. As I was reading it I realized that the author was talking about Leaping. I think that section is so beautiful. The banter between Al, Ziggy and Sam is totally funny. The end section was also another favourite part. As you read the parts leading Sam to experiment with the accelerator it kinda reads like Sam knows this could kill him and it's really the unknown he's walking into. But knows he's ran out of options. It kinda makes me cry. I liked the background information from before Sam started leaping and reading about what started it all. This is a good one. The interaction between the characters is funny. I didn't realise I hadn't read this one!! but I haven't an I would love to. I'm relatively sure nobody here wants to send a copy to Australia for me to read, but I'll have to try and track this one down.